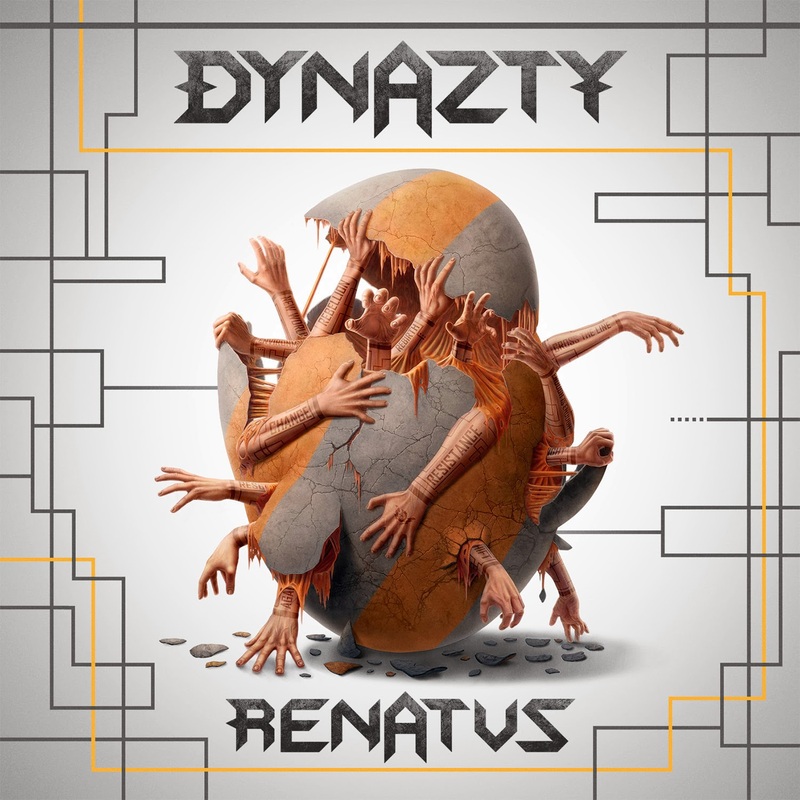 Rock & Metal 4 You: CD-Review: Dynazty - "Renatus"
If there is a young talented band from Sweden that could impress me with each new album more and more, it has to be DYNAZTY. They came out of nowhere and with their latest album "Sultans Of Sin" they presented the best Hard Rock record in 2012 in my opinion. Now - two years later - they come along with their follow-up "Renatus" and one thing is for sure: this is their most controversial record to date. The Swedish guys started as a catchy Sleaze Rock band with lots of attitude. Their third release offered some more Hard Rock flavour. Now it's 2014 and you should forget about all that! "Renatus" has nothing in common with the previous records, except the band name. Dynazty reinvented themselves, which led to a radical change of musical direction (also the cover artwork looks like some kind of "rebirth"). So, what can you expect? "Renatus" is a pure Power Metal album with tons of staccato (!) riffs, double-bass parts and some progressive elements. That sounds weird, right? I mean, it isn't what you would expect from this band and I can imagine that many fans of this group will be shocked ... BUT after you digest the first shock and you are a bit open-minded you'll get to hear one of the best records this genre has to offer! Don't get me wrong - all songs are still very melodic, especially "Dawn Of Your Creation", "The Northern End" and the first single "Starlight" are amazing earworms, with a modern approach, which is underlined by nice keyboards. On the other hand you have some tracks like the opener "Cross The Line", "Sunrise In Hell" or "Unholy Deterrent", which need a bit longer till the melodies grab you. But once they did, they won't get out of your ears so quickly. Another untypical song is "Salvation", which features a playtime over seven minutes. Here you'll discover many of the new progressive elements I mentioned above. So all in all the songs are great and sound absolutely fresh. Maybe there could be a bit more space for variety here and there but this is nagging on a high level. "Sultans Of Sin" could shine with a fantastic in-your-face-production and same goes to "Renatus". The guys deliver a first-class-production, which is crystal clear and punchy. It's simply the best I've heard so far in 2014. The band itself sounds awesome. Nils Molin has a strong and unique voice, which can reach every high note easily. Love Magnusson and Mike Lavér provide some great guitar duels and the pounding rhythm section from George Egg (drums) and Jonathan Olsson (who replaced Joel Fox Apelgren on bass) complete the package of a terrific bandsound. The bottom line is that Dynazty present their most heavy and mature album to date. Yes, I also needed some time to get used to the new musical direction, but it was woth it. Instead of doing the same thing over and over again Dynazty took a risk and dared to try something new - that must be rewarded. You won't find any weaknesses on "Renatus" and that means it simply get's the highest score that I can give. You should mark March 28th in all your timetables, because this album is a must-have for everyone of you!